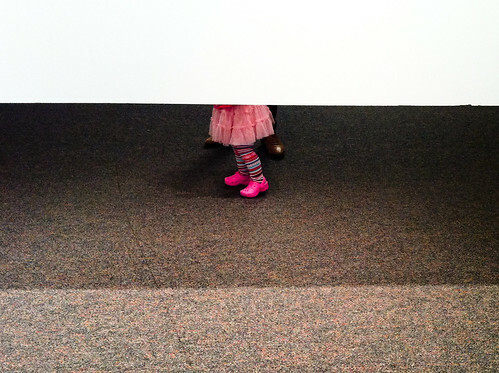 I recently won first place in the Fotoweek Mobile Phone Image Contest. Here’s how I came up with the winning photo. Mobile devices allow you to get up close to capture intimate moments, abstract macros, candid street photos, night projects, and what FotoWeek DC Festival means to you this year as you walk around DC and experience all of our events. 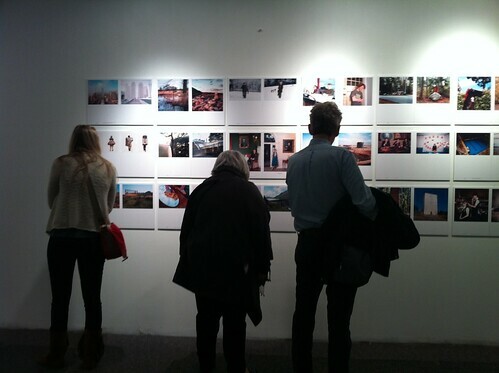 I went to several Fotoweek shows but was so busy seeing amazing photos that I hardly took any pictures at all. In addition to having photographs along the walls, they also had exhibits on panels in the middle of the old Borders space. The bottom part of the panel was open. I took about ten photos inside Fotoweek HQ of people and art. 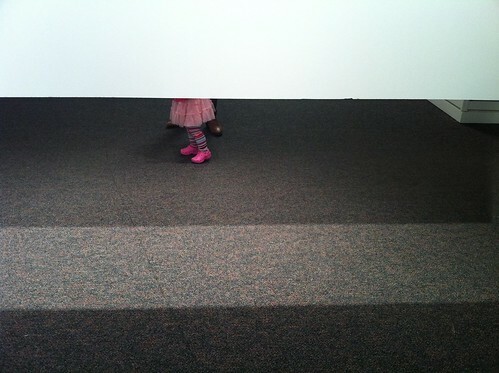 Once home, however, it was obvious that the best photo was of the little girl’s feet – it was simple and strange. Instagram is really popular among iPhoneographers. I like this iPhone app and its multiplicity of filters and effects but didn’t use it on this photo. I wanted to keep the image as simple as possible. I have a thing for symmetry – the three sections and the horizontal lines appealed to me, as well how the photo is focused on one thing. In the image you also couldn’t really tell how big she was or where the picture was taken. The white space above her feet doesn’t have much definition and is a little mysterious. This is something that appealed to the judges – there was a pleasant surprise as they realized that the picture was from Fotoweek HQ. 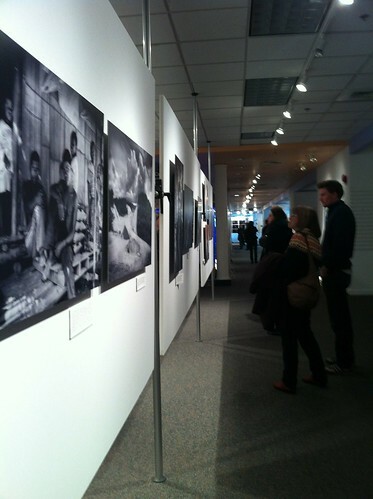 It was a good representation of the Fotoweek theme of experiencing the festival. Just before the deadline, I sent in my photo. I didn’t hear anything back but went to the closing party the next night – I love looking at photographs and drinking beer. I stood at the bar and there my photo was – with First Place next to it! You can’t win if you don’t play. Take photos and submit them. Read the directions. Having been a judge myself (for screenplay contests), I knew that contest directions are important. They wanted photos of Fotoweek, not just interesting mobile photos. The best camera you have is the one you have with you. For many of us, that’s the iPhone. Previous Previous post: Cyber Monday – Murder in Ocean Hall for $0.99!